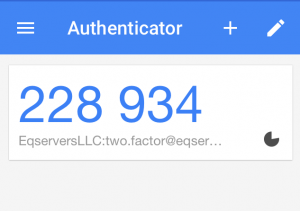 EqServers Introduces Two-Factor Authentication - Enable Now! 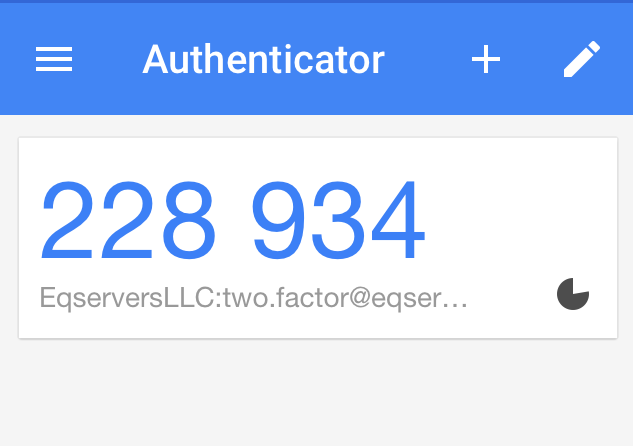 EqServers Introduces Two-Factor Authentication – Enable Now! In line with our goal to improve customer experience and enhance security, we are happy to bring two factor authentication to all our customers as an optional feature. Enabling and disabling the security measure on your account takes just one click. Even though it is a bit of a hassle, it is worth the time to prevent hackers from gaining access to your account easily. As is with any form of security, two factor authentication does not guarantee an iron fortress. However, it does make hacking into your account very difficult, not just twice but several times harder than cracking just a password. Simply put, when you must input two passwords instead of one to login into an account, you are using two factor authentication for the account. It is designed to allow access after validating inputs from two separate mechanisms. First validation is from your standard password and the second is a code or password from a physical source like your phone or tablet. 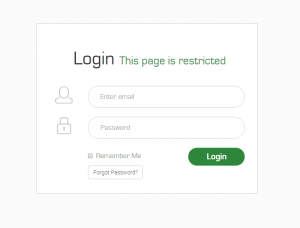 We’ve created this tutorial to walk you through enabling or disabling two factor authentication on your EqServers account. To get started, you must have the Google Authenticator App installed on your iOS or Android device. Windows version of Google Authenticator App is currently not available from Google. 1. Click Here and sign into your account. 2. After logging into the security area, click on the green “Click here to Enable” button to get started. 3. On the next page, click on “Get Started”. The next page has a barcode and a secret key. 4. Open the Google Authenticator app on your handheld device. Select Time Based Token and then select the option to scan a barcode or to enter the secret key manually. 5. Next, scan the barcode or enter the code on your handheld device and then click on Confirm in your EqServers account. 6. If you’ve successfully completed the last step, the app will generate a code. 7. Enter this code in your EqServers account and click on Confirm. 8. If you’ve successfully entered the code, you would get a “Two Factor Authentication is Complete!” message and a Backup Code. Write this code on a paper or alternate device and keep it safe. You can use it to validate your account when you do not have access to your primary handheld device. Next time you Login to your account with two factor authentication enabled, make sure you keep the “Remember Me” in the image above unchecked. If you check “Remember Me” on a device, even with two factor authentication enabled, you won’t be asked for the code in second step authentication on that particular device for the next 30 days. 2. On the next page, click on the red “Click Here to Disable” button to proceed. 3. Next, enter your EqServers account password and click on the “Disable Two Factor Authentication” button. 4. On the next page you’ll get a confirmation message. Feel free to contact support if you run into any issues while enabling or disabling two factor authentication. For more information you can also go through Google’s guide on two factor authentication for iOS and Android here.